Placing your order for a floral gift is easy…. Every floral gift we produce is unique. For that reason we do not operate a menu type ordering system. 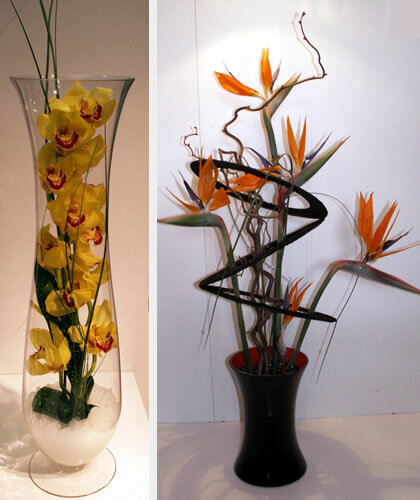 All we need to know is the type of bouquet or arrangement you require, i.e. hand tied aqua packed (most popular), presentation, oasis arrangement etc. Please give us a brief such as ‘no lilies’, ‘modern and unusual’, colourful etc and the amount you would like the gift to be for. If it is to be delivered please tell us the name and address of the recipient and the card message. Please do not send credit/debit card information by e mail for security reasons. We will be happy to telephone you so you can make payment over the phone. To make an appointment to discuss a wedding, funeral, corporate function or any other occasion please use the contact details below. You will find us friendly, helpful and always willing to offer suggestions to assist you. Where necessary we are always happy to make a visit to your venue to discuss matters. Click Here for our contact email form.